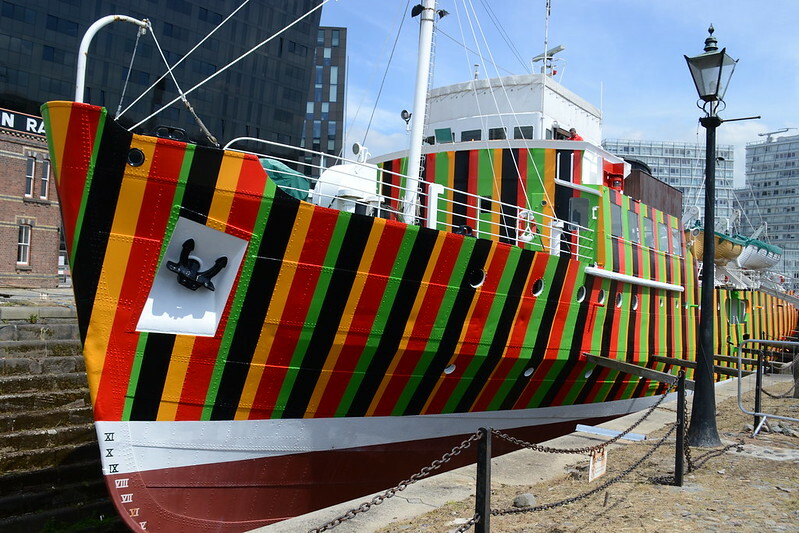 Liverpool Biennial, Tate Liverpool and Merseyside Maritime Museum. (above & below) Sailing ship 'Stavros S Niarchos', moored outside the Maritime Museum, Albert Dock. (above) The New Everyman Theatre - The shutters feature images of local people.